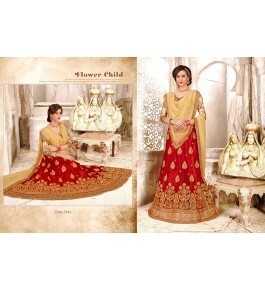 B4u Fashion Presenting NEW ATTRACTIVE YELLOW AND RED HEAVY EMBROIDERY LEHENGA. Our Clothing Are Prof..
B4u Fashion Presenting Pink Bhagalpuri Silk Printed Lehenga Set witch blouse pics.Our Clothing’s Ar..
B4u Fashion Presenting NEW DESIGNER HEAVY MAROON LEHENGA. Our Clothing’s Are Professionally Designe..
B4u Fashion Presenting New Arrival Bollywood Designer Heavy Pink Embroidered Lahenga Choli Set .Our..
B4u fashion Presenting Latest Yellow and Gajari Color Lahenga In Net Fabric.It Comes With Gold Colo..
B4u fashion Presenting Latest Yellow Color Lahenga In Bangalore Silk Fabric. It Comes With Yellow C..
B4u fashion Presenting Latest Blue Color Lahenga In Banglori Silk Fabric. It Comes With Blue Color ..
B4u fashion Presenting Latest Orange and Red Color Lahenga In Georgette Fabric.It Comes With Blue C..
B4u fashion Presenting Latest Blue and Red Color Lahenga In Georgette Fabric.It Comes With Red Colo..
B4u fashion Presenting Latest Pink Color Lahenga In Georgette Fabric.It Comes With Gold Color Bangl..
B4u fashion Presenting Latest Maroon Color Lahenga In Bangalore Silk Fabric. It Comes With Maroon C..
B4u fashion Presenting Latest Royal Blue Color Lahenga In Banglori Silk Fabric. It Comes With Royal.. Ideal For: WomenColor: Garnet MaroonMaterial: VelvetDupatta Fabric: GeorgetteLehenga Length:42 inc..
Lehenga Color: Light Sea Green Blouse & Dupatta Color: Light Sea GreenLehenga Fabric:&..
Lehenga & Blouse Color: Light PinkDupatta Color: Light PinkLehenga Fabric: Satin SilkL..
Lehenga & Dupatta Color: Sky BlueDupatta Color: BlueLehenga Fabric: Satin SilkLehenga ..
Lehenga Color: PeachBlouse & Dupatta Color: PeachLehenga Fabric: Satin SilkLehenga Wor..
Lehenga Color: OrangeBlouse & Dupatta Color: OrangeLehenga Fabric: Satin SilkLehe..
Lehenga & Blouse Color: Green Dupatta Color: PinkLehenga Fabric: Satin SilkLehenga Wor..
Lehenga & Blouse Color: Sea Green Dupatta Color: Sea GreenLehenga Fabric: Satin SilkLe..
Lehenga Color: Sea Green Blouse & Dupatta Color: Sea GreenLehenga Fabric: Satin SilkLe..
Lehenga & Blouse Color: Baby PinkDupatta Color: Baby PinkLehenga Fabric: Satin Si..
Lehenga Color: Light Pink with Golden EmbroideryLehenga Fabric: Satin SilkLehenga Work: Embroidered ..
Lehenga Color: Sea Green Lehenga-Blouse & DupattaLehenga Fabric: Satin SilkLehenga Work: E.. This dress gives you stylish looks with a few traditional looks too. This dress must be in your ward.. Ideal For: Kids · &nbs.. Ideal For: Kids · &n..
· Ideal For: Kids· &nb..
· Ideal For: Kids· &nbs..